Choosing the perfect Father’s Day gift depends on what kind of guy the dad in your life is. Does he love travel, playing sports or listening to music? We’ve got you covered with tech gifts that show your dad just how special he is. Does your dad love to listen to music? Blumoo lets him use his existing home stereo and speakers to enjoy music stored on or streamed to his mobile device. Just plug the small Bluetooth 4.0 device into the receiver or a powered speaker and he’ll be good to go. Blumoo isn’t just for playing music. If Dad is a (remote) control freak, Blumoo puts his whole stereo system in his hand. Using the mobile app (available for iOS and Android), which includes codes for over 200,000 types of equipment, Dad can turn the TV on and off, change channels or fire up a CD. And the base uses an IR blaster to relay the commands to his TV and DVD or CD player. There’s nothing worse than a dead car battery during a family road trip. 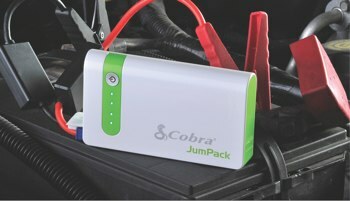 Instead of waiting for roadside service, Dad can jump the car battery himself with the Cobra JumPack. It’s a handheld rechargeable power pack capable of jump-starting the car battery multiple times, if needed. The JumPack also includes an LED light to use as a flashlight for working on the car or as a strobe light if he's stuck on the road at night. Even more handy, the JumPack's USB port can charge up a mobile phone or tablet, too. Dads worry about things like “Did the kids close the garage door?" Ease his mind with the MyQ garage door monitoring/control system. 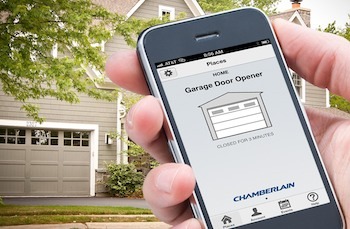 Once he's attached the MyQ to the current garage door opener and connected it with the home Wi-Fi, Dad can control the garage door via a mobile app (iOS) from anywhere. Kids, be warned: In addition to being able to check whether the door is really open or not and being able to close it from anywhere, Dad can also get alerts on his phone whenever the door is opened. So if you’re sneaking in past curfew — he’ll know. If Dad likes to listen to tunes on his bike or while he shoots hoops outside, the Fugoo Sport Speaker is among the best portable Bluetooth speakers we’ve seen in a while — and we’ve seen a lot of sport speakers. The Fugoo Sport Speaker boasts six drivers to deliver great-sounding music, and it claims a 40-hour battery life. The Fugoo line is unique in that you buy a core unit that is waterproof, shockproof, dust-proof and all kinds of impact-ready. The sport cover (included) makes the unit even more rugged and mountable (bike mount available later this year), so Dad can hit the bike trail with with his tunes still playing. If you’re really nice, maybe he’ll share the core and you can get your own stylish jacket to use. 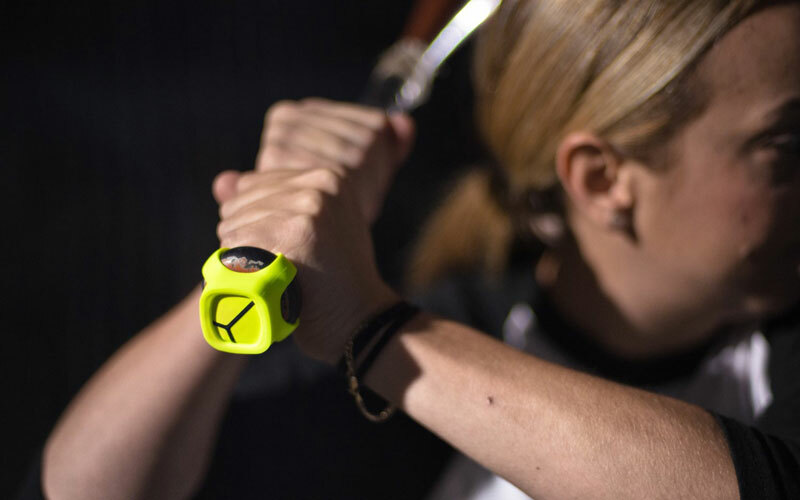 If the sound of “Batter up!” puts a smile on Dad’s face, then you’ll score a home run with the Zepp Labs 3-D Baseball Sensor ($143 on Amazon). Dad simply attaches the sensor to the bat mount to see his swing in glorious 3-D on the accompanying app (iOS or Android). So make a date to head to the batting cages or local ball field and get in some practice time together. After you hit a bunch of balls, check the app for a detailed analysis that tracks your hit speed, path, timing and angle at impact. The app also tracks your progress over time, providing personalized tips and drills. If dad prefers hitting the links, the Golf 3D Training System ($143 on Amazon) provides the same type of swing analysis, tips and drills. Instead of attaching to the club-head, though, the sensor attaches to his golf glove. Whether he's going to work, headed to the gym or going on a family outing, a dad usually winds up carrying a lot of gear. Why not get him a backpack that looks great, is comfortable to wear and can hold everything up to and including a 15-inch laptop? The well-constructed STM Drifter backpack fits the bill. Three zippered pockets in the front hold sunglasses, cell phones and other easy-to-lose items. The large main compartment cradles a tablet or laptop with protective cushioning against bumps and bounces. We give the Drifter bonus points for the water bottle side pocket. Padded shoulder straps and foam mesh back panels make this backpack comfortable to carry on a bike trail or during a family hike. 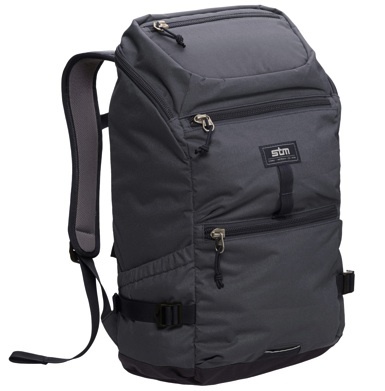 And the backpack's water-resistant 320-denier cotton/poly main body fabric and 640-denier poly reinforced bottom make it soft, light and strong.